Making the insane attractive has to be an art-form in itself. While the peacock feathers in the hair are a wicked touch, when woman have more clothes on their arms then they do the rest of their bodies, you generally know there's trouble ahead. 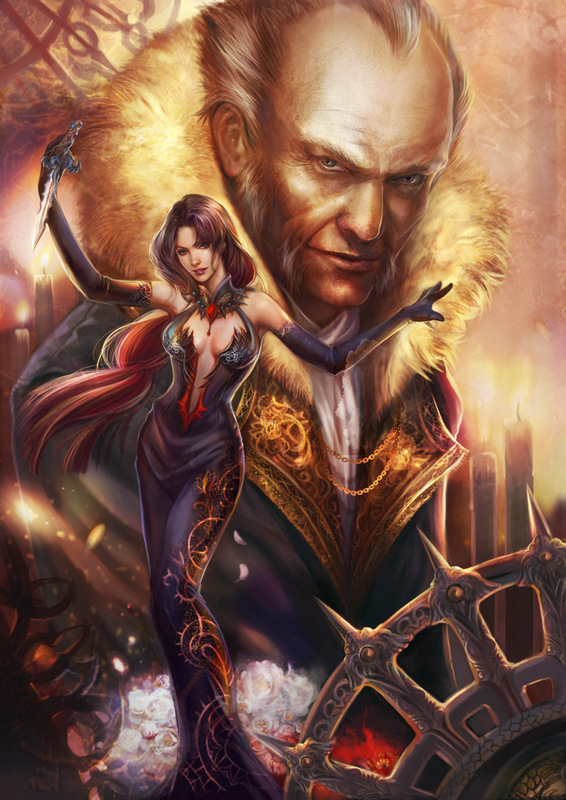 Speaking of a head for trouble, how about Ra's Al Ghul and his seductive daughter Talia? While Ra's was her first time "drawing old people", DC need a bat-book done in this ladies style. It would fly off the stands looking this sharp! For more of Jiuge's colourful creations, visit her personal website . Good GOD that is marvelous! oh my #$%&@* God is that some nice firm art. i'd love to see this guy do a rendering of Satana. So that is why PowerGirl wears a cape! Poyson Ivy is absolutely amazing in that explosion of colour. And yes, the lady can draw old people. Ra's flawless. 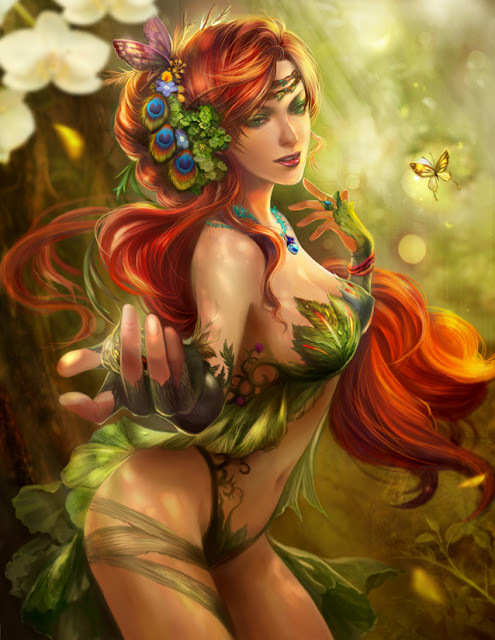 That Ivy pic is absolutely amazing. Thanks for the great comments folks - I am really glad this one went down so well - I think her work is fantastic! Glad to have you dropping into IADW Pensol! Satana is a different choice Dave - I'd love to see her do Cloak and Dagger but seems from her portfolio she's definitely a DC girl. Especially for Jason Todd. Okay, I feel a bit sorry for Power Girl. That has to be uncomfortable. Still a beautiful picture though. I want that dress she has on Talia. That is stunning. The girl knows design and composition too. Thanks, Dan! This is a great site that I stumbled onto while searching for Thor knows what (actually I think that might have been it - Thor). As an artist myself I love being inspired by the work of others! Likewise Pensol - seeing how others bring their personal style into illustration is my biggest buzz so hope you stick around!